I'm going to keep this post short and sweet. It's National Nurses Week. We don't always get the praise I think that we deserve. You'll need a nurse at many points in your life, starting from the minute you're born all the way till the end of your life. I've been a nurse for 8 years now and although I haven't loved every minute of it, I do love the career I chose. You have likely seen a lot of these ecards floating around and most of them are funny because of the stereotype but many of them were funny with a very sharp edge. This one was true, funny and unoffensive so it won me over. My original plan for my nurses was to make cloth covered buttons to go over the retractable ID badges. Unfortunately this wasn't as easy as I thought it'd be. 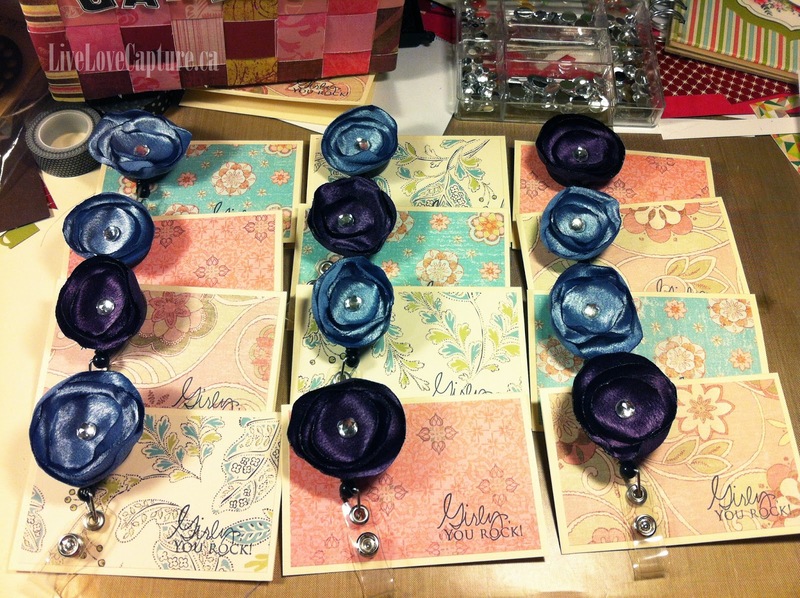 Turns out, there's a fancy dancy tool you buy to make fabric covered buttons. Who knew? Not I! So plan B was to go with what I knew and what I had on hand: leftover wedding fabric! I cut some circles out, lit my French Baguette candle from Bath & Body Works and plugged in my hot glue gun. I even made one for myself! Hopefully my nurses like them. I spent yesterday afternoon stamping up some cute little cards with a colleague and it was a fabulous Sunday. 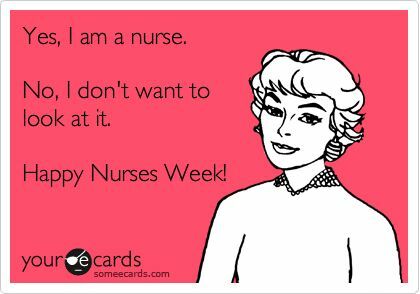 Happy National Nurses Week to all my fellow nurses!